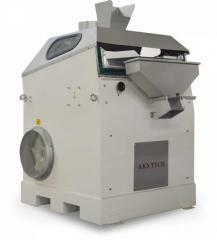 Horizontal Fotoseparator Lyon from AKY Technology for sorting according to color marks out to a series grain or leguminous crops on color, after preliminary cleaning, increasing qualities of the sorted product to 99,9%. 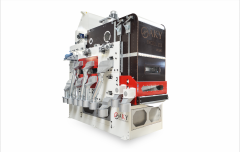 Horizontal Fotoseparator of a series Lyon the highest achievement as the products sorted by color, AKY Technology received thanks to advanced technologies. The product sorted by color, is loaded into the bunker from where Lyon moves on Fotoseparator of a series. The product is transferred to the car according to a horizontal tape. The product passes across the field sight of cameras in a forward part of a photoseparator down channels in the form of a thin layer. Cameras determine a product by color and transmit a signal to the central processing unit where it is processed and issues the command to air injectors which in turn push out all non-standard particles from a stream. The good product progresses and passes to the following stage. After sorting spotty or decoloured grains are loaded back by means of a noriya into the intermediate bunker. Products with the broken color move in the car repeatedly. A product for the second time are sorted. 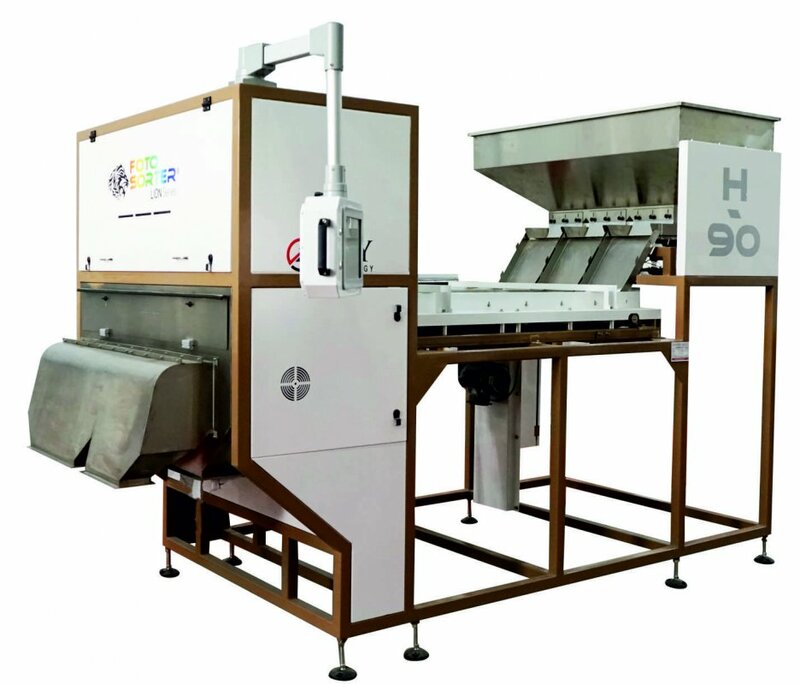 It allows to reduce losses of products. The principle of work of a photoseparator Lyon is based on selection with system of the bilateral review of a product. Optical systems of cameras have high resolution and allow to distinguish defects to 0,25 mm2. 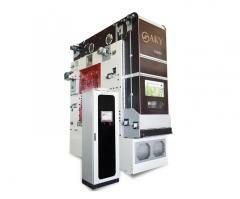 The operator can program the quality standard of production which will be sorted. Unbelievable price on Horizontal Fotoseparator of a series LYON in Kiev (Ukraine) company Magnums, OOO.